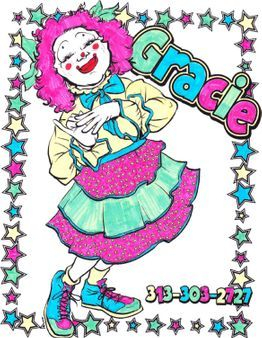 Gracie the Clown & Balloon Artistry LLC has dedicated over 15 years to providing services to the Metropolitan Detroit area. We offer fun-filled family entertainment for your event such as clown performance, face painting, & balloon twisting in addition to a wide variety of balloon decor. Consultations are available by appointments only.